When I played the first Knights of Pen & Paper, I though the game did an impressive job in transferring the whole experience of a tabletop RPG to the digital medium. Not everything worked perfectly, the game delivered not only on its strong RPG elements but also on building personality within its characters. 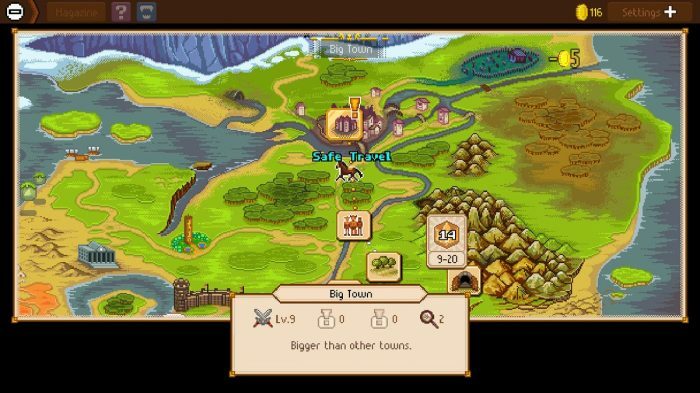 Now that Knights of Pen & Paper 2 Deluxiest Edition is available on Switch – and both games in the set have been distributed physically by Super Rare Games – I’ve been back to that fantasy world to find that nothing much has changed. Knights of Pen & Paper 2’s narrative is full of jokes and references. When your group of intrepid players starts their adventures in Knights of Pen & Paper 2, they learn that the Paper Knight is spreading havoc through a Dungeons & Dragons-inspired fantasy world. 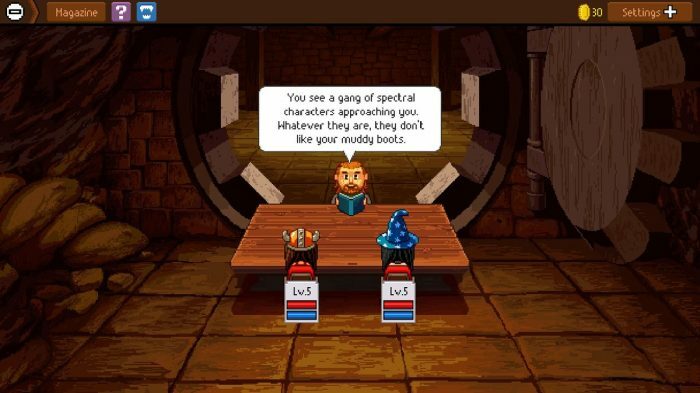 A theme is quickly established as pertains to the game’s narrative, as with the tutorial quest involving rats, a formidable foe messing with the game’s rules and a series of fetch quests, it doesn’t take long for RPG veterans to notice that pretty much every line from Knights of Pen & Paper 2 is references either Dungeons & Dragons or some other form of pop culture. This isn’t exactly a bad thing, but the relentless punning does get a bit repetitive near the end of the adventure, which is a feeling exacerbated if you’ve already played the first game. You’ll explore the world, completing quests and defeating monsters. 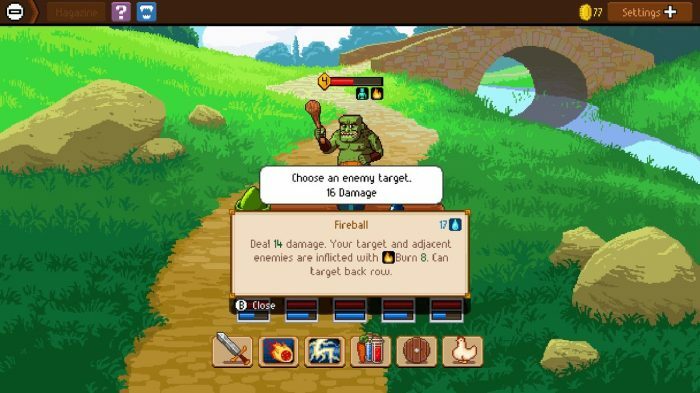 Knights of Pen and Paper 2 uses a straightforward, turn-based form of combat. Your party starts with only two characters, but as the game progresses and you explore the world, there’s an option to ‘call in’ new friends by spending gold. Having a full party of five members opens up new strategies owing to how the different classes complement each other in interesting ways. However, the whole customisation falls a bit short when the simple combat system is factored into the mix. Quests are formulaic, and so combat is used as a way to get more experience points and improve the skills and equipment available to your party. Mix different classes to succeed in this game’s simplistic turn-based combat. The most impressive aspect of the game is definitely its presentation. Your RPG table is the one constant as it is transported to each part of the fantasy world, which is illustrated with a beautiful and detailed pixel-art style. This is complemented by an impressive soundtrack composed of catchy songs filled with a sense of adventure. During the nine hours it took me to beat the main game, I consistently found myself looking forward to reaching new places, and to see what new wonders (and perils) were awaiting me. If you’re jumping on board with the series here, it’s good to know that the Switch version comes with bonus content, including the Here Be Dragons expansion, which adds more quests, location and a post-game storyline. It’s worth picking up, if you haven’t got it already through Super Rare. 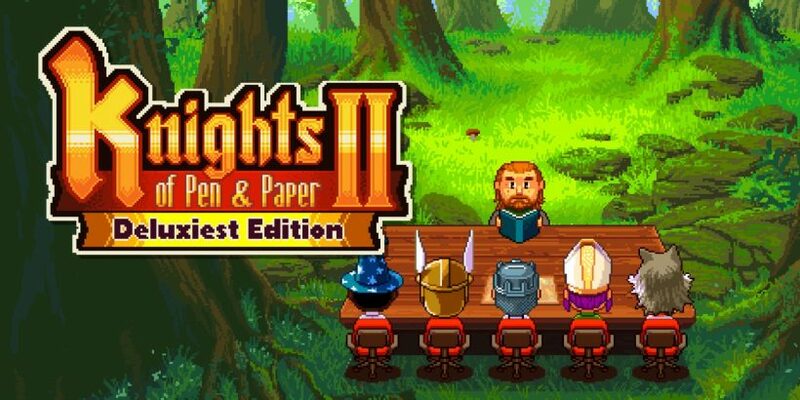 With a revamped presentation, Knights of Pen & Paper 2 Deluxiest Edition delivers a simple but entertaining entry into the series. If you’ve played the first game, this is more of the same.